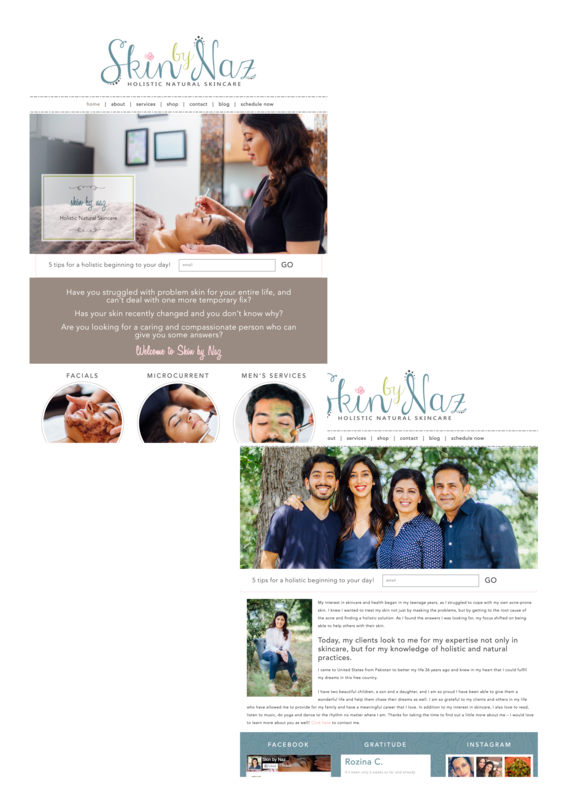 What a joy to meet and design for Naz, an esthetician in Texas. 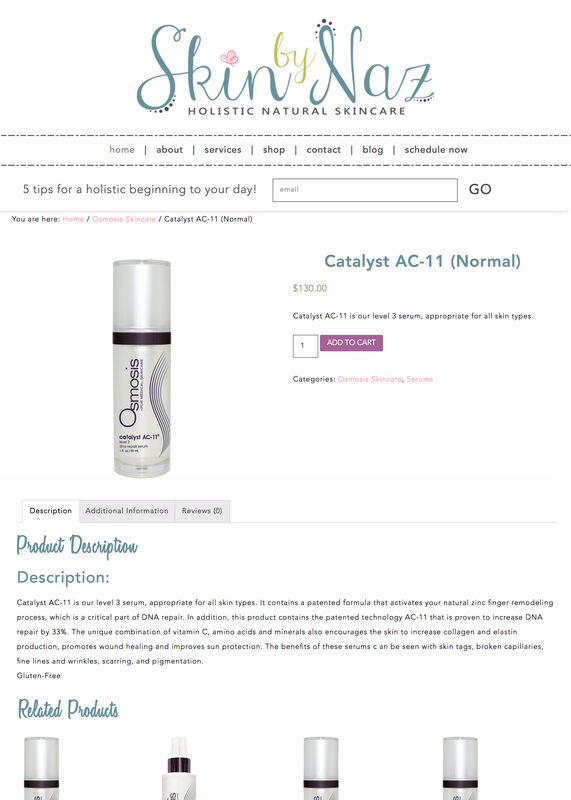 Her calming and holistic style of natural skincare make her highly sought after and much loved. 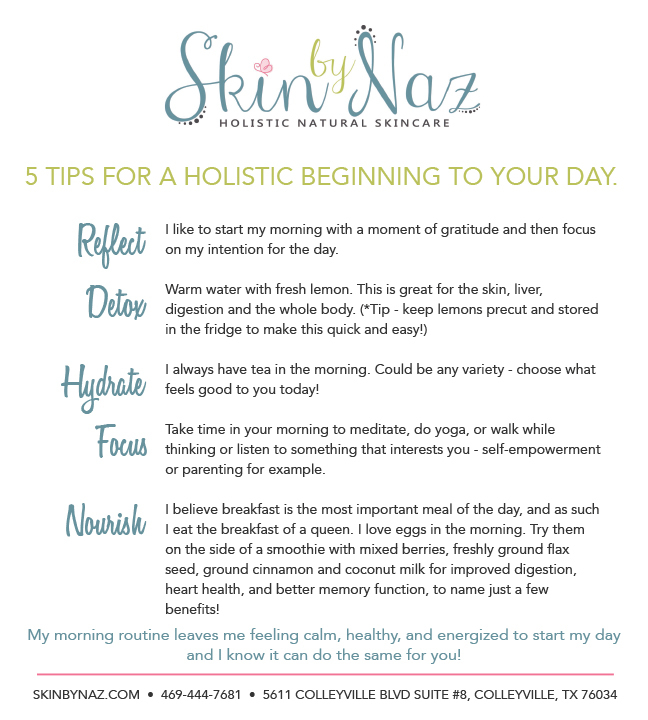 Skin by Naz is crafted from muted blues and browns with pops of pink and fresh green. The addition of a script font and delicate curls keep this site vibrant and flowing. 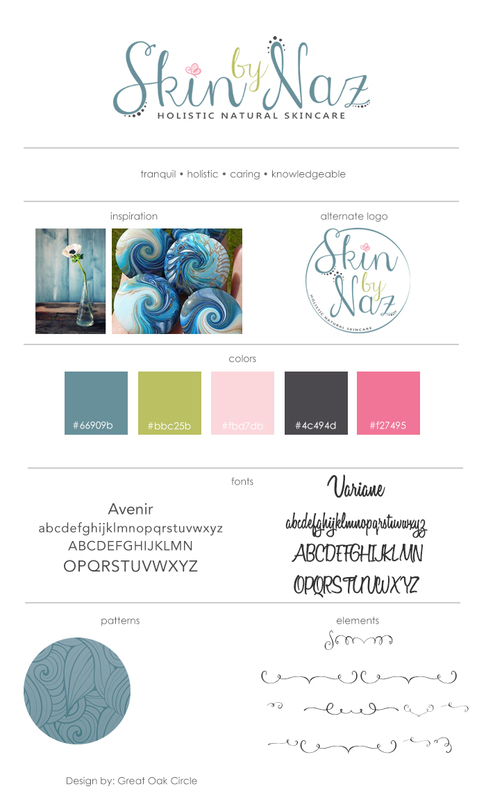 Colors were chosen from her logo and used throughout the site to create a cohesive brand.